Homecoming 2008 proved to be a wonderful event, as Belhaven alumni and friends turned out in great number to celebrate this special “Back to Belhaven” weekend. 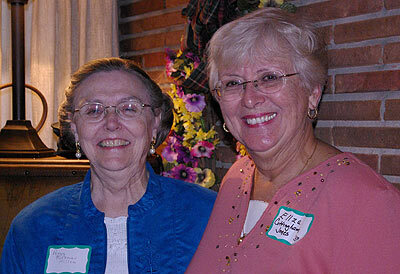 In all, more than 400 individuals took part in the numerous festivities organized this year. For the second year in a row, the traditional Homecoming Dance for current students was the leading event on Thursday, October 23. Students filled Reservoir Pointe in Ridgeland to enjoy time with one another and try out their latest dance moves. 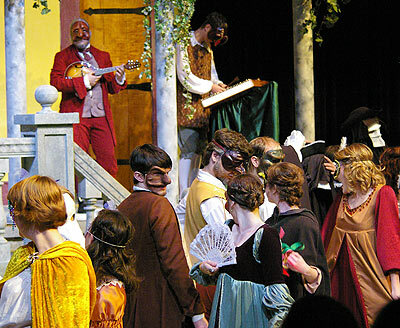 Also, under the direction of Dr. Lou Campbell, the Theatre Department’s production of Shakespeare’s Much Ado About Nothing opened Thursday evening (and ran through Saturday) to a great crowd in the Center for the Arts. Prospective students received a taste of Belhaven on Friday, October 24 during the Office of Admission’s “Discover Day” program. 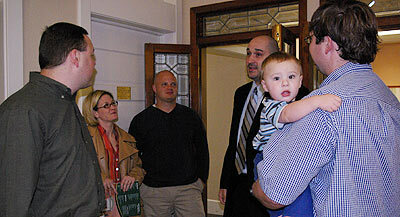 Other featured events on the schedule for Friday included the Biology Alumni Panel and Reception, along with the School of Business-sponsored “Red – Blue – & You” forum on the 2008 presidential race. 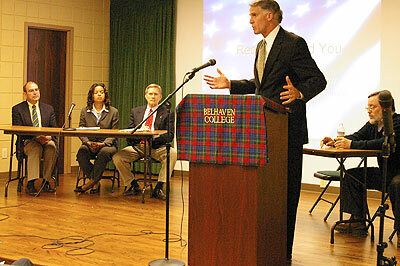 Both events were well attended and held the interest of current students, Belhaven staff and faculty, and alumni. 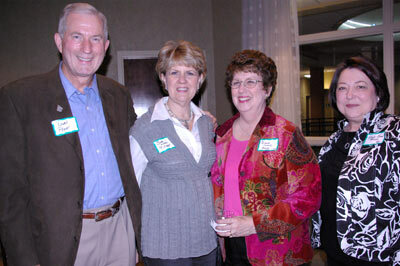 Additionally, the Classes of 1958, 1968, 1978, and 1998 held Reunion Receptions across campus on Friday evening. More than 140 people attended the 16th Annual Belhaven College Sports Hall of Fame Banquet on Friday evening in the H.C. Bailey Dining Commons. 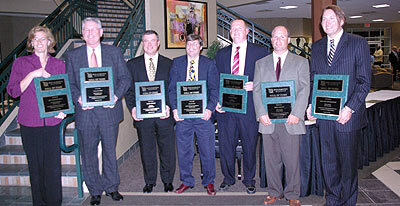 Seven new members were inducted into the Belhaven Sports Hall of Fame, including: Mrs. Amy Glasgow Wells, ’95 (Women’s Basketball); Mr. Randy Hayman, ’81 (Baseball); Mr. Paul Johnson, ’78 (Men’s Basketball); Mr. Patrick Garvin, ’00 (Football), Mr. David Johnson, ’93 (Men’s Soccer); Mr. Blair Cash, ’76 (Sports Information); and Mr. Carl Van Coppenhagen, ’91 (Men’s Tennis). A rapidly-growing tradition for Homecoming has become the annual 5k Run/Walk, and this year did not disappoint, as more than thirty competitors participated in the race on Saturday morning. The winning time was just under twenty minutes, and every single participant crossed the finish line with a smile on their face, having competed in such a healthy event. A near capacity crowd was present for the Alumni Awards Luncheon, honoring Belhaven alumni for their outstanding achievements in the arenas of business, church ministry, community service, and education. This year’s honorees included: Mr. J. Joseph Stroble, ’70 (Alumnus of the Year); Ms. Emma McCain, ’35 (Community Service Award); Dr. John S. Leonard, ’77 (Church Service Award); Mrs. Ellza C. Jones, ’58 (Bettye Quinn Education Award); and Mr. Andrew Mattiace, ’74 (Jim Park Business Award). Additionally, Drs. 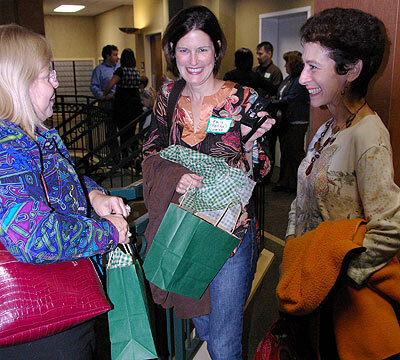 Sandra L. Rasberry and Elizabeth B. Williford were honored for their twenty years of teaching service at Belhaven and welcomed into the College’s Legacy of Learning. One of most anticipated events of the weekend was the Music department’s presentation of Handel’s Messiah on Saturday evening in the concert hall of the Center for the Arts. Under the direction of Dr. Christopher Shelt and accompanied by the Belhaven Orchestra, the more than seventy-voice choir treated a near capacity crowd to a stellar and memorable performance. 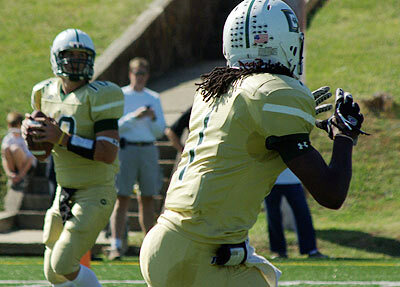 The Blazer Football team treated fans to a thrilling game with Mid-South Conference foe Cumberland University, but unfortunately fell by a score of 46-43. At halftime of the game, Mr. J.T. 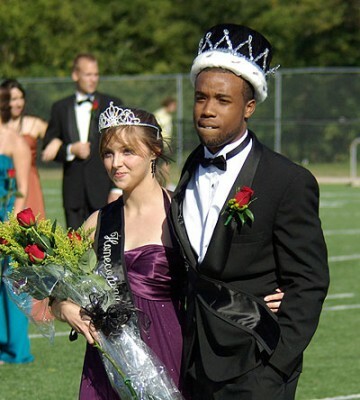 Taylor and Miss Nannette Hannum were crowned the 2008 Homecoming King and Queen.